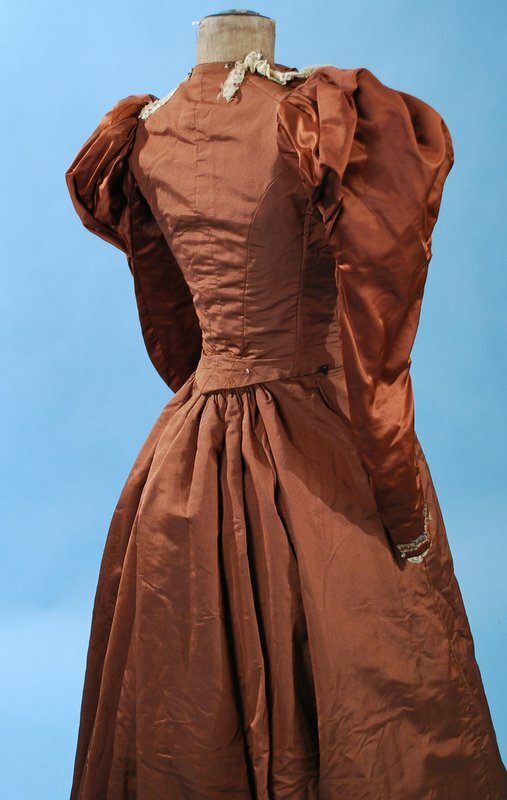 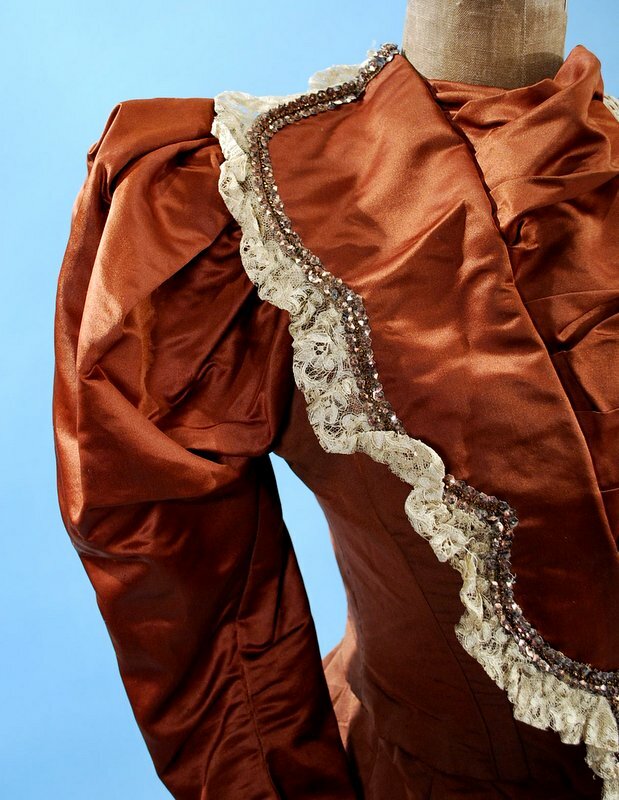 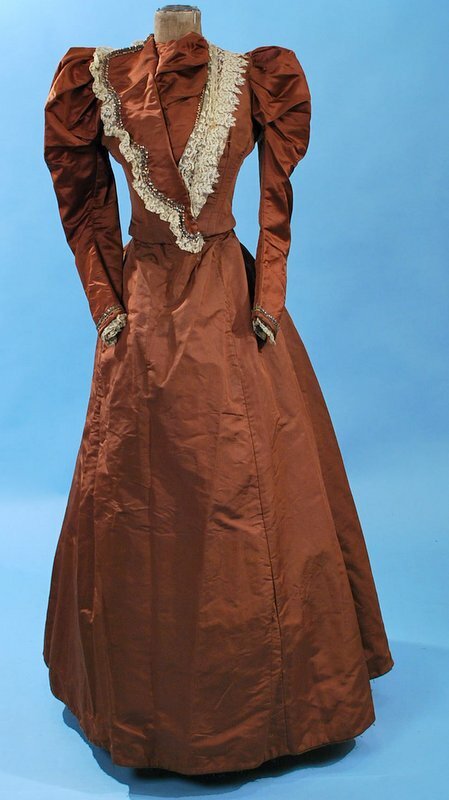 Ladies silk faille two piece outfit dating to the 1890's. Front hook and eye closure with gathered jabot panel in front w/blonde lace and sequin ornaments, leg o mutton tapered sleeves, fully lined with stays, evidence of earlier ornaments that have been removed back of bodice and at hem of skirt, neckline?. 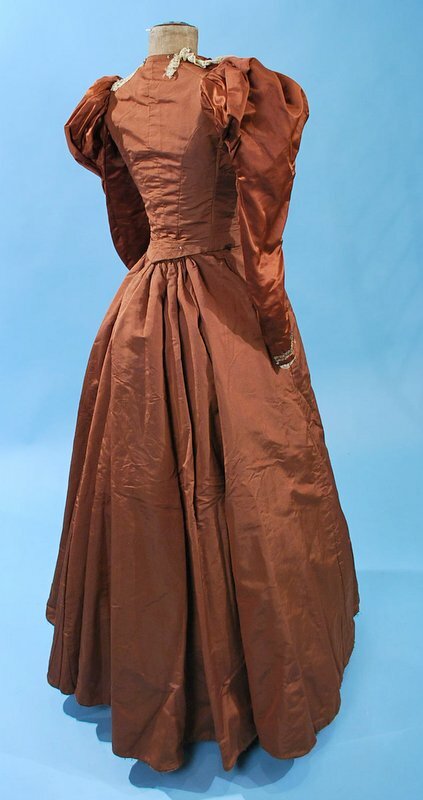 Bell shaped skirt that is fully lined with velvet floor brush and some stiffened interfacing giving the skirt some heft, waist band has been extended with some ties that are not original, easy to return it to original. 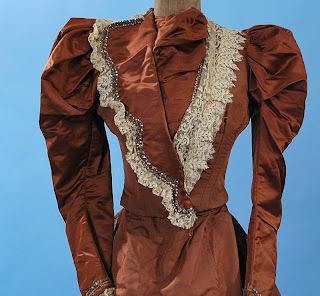 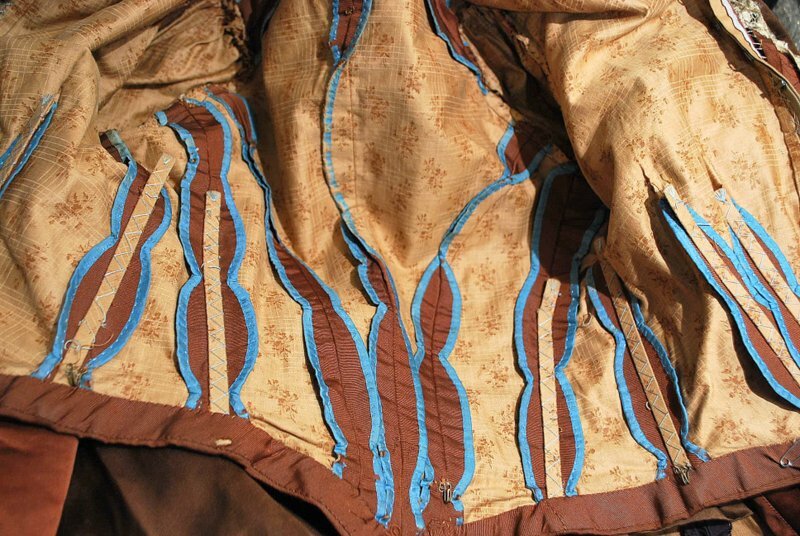 In very good antique uncleaned condition, some darkening to the silk under the arms, breaks to the lace trim. 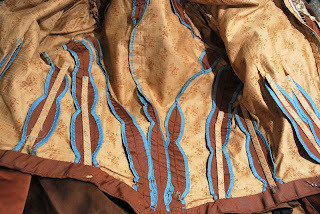 Chest measures 34", waist 24", length 16", sleeves 22", waist on skirt original 24", length 42"
...Is it bad that I like the printed cotton lining more than the outfit itself?